The AppleTV with Siri remote makes a great player for TrilbyTV. It connects to your screen via a HDMI cable and requires a single 13 amp socket. The AppleTV can be securely mounted to the back of your screen. TrilbyTV Player for AppleTV is a free download on the TV App Store. TrilbyTV Player on AppleTV fully supports the Siri remote which can be used to skip through clips during playback (swipe left or right) and also to control playback via the play/pause button. TrilbyTV Player for Chrome is available from the Chrome Web Store. TrilbyTV Player for Chrome has an autostart feature so if the stick looses power for any reason when it restarts TrilbyTV will begin to play full screen straight away. Configure your Chromebit for Kiosk Mode for zero-touch startup. There are many Android-based devices available that are suitable for running TrilbyTV. Many modern SmartTV’s run on Android and so are suitable for using with TrilbyTV. Sony, iiyama, Sharp and many other brands offer these in a variety of sizes. Android is also used on many media boxes. Devices like the Minix Media Boxes are fanatic devices to plug into an existing HDTV. There are also many small HDMI android devices that can plug straight into a HDTV. Download TrilbyTV Player from the Google Play Store to get started. TrilbyTV Player will automatically relaunch after startup for a zero-touch experience. A list of known supported Android devices is available here however this list is not exhaustive. The Amazon fireTV stick is a low-cost consumer device to allow any TV screen to play back streaming content. It is based on the Android OS and has been specifically designed to display video from platforms like TrilbyTV. TrilbyTV Player is available to download from the Amazon App Store and once installed will display a TrilbyTV Player code which you can add to the TrilbyTV Player Dashbaord. The TrilbyTV Player app will register itself to auto-start if the stick loses power for any reason. Apple’s iPod touch is well suited for TrilbyTV playback being a small light device which can easily be hidden behind a TV screen. 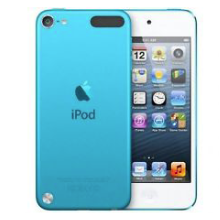 You will need to purchase an Apple 5W USB Power Adapter (MD812) and an Apple Lightning Digital AV Adapter (MD826) which will connect the iPod Touch to a TV screen via HDMI. TrilbyTV Player for iOS is available from the iOS App Store. Once installed you will see a code on the iPod screen. Just head over to your TrilbyTV Player Dashboard and click Add Player. On the iPod, you can skip clips with a swipe on the screen during playback. Any macOS computer with access to the Mac App Store can be a TrilbyTV Player. 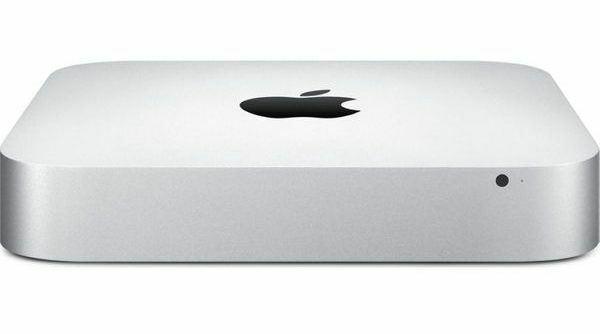 An underused MacMini makes a great player and connects via HDMI or VGA to your screen. MacMini has an added benefit in that the screen rotation can be changed so a MacMini makes a great player for portrait orientation displays. TrilbyTV Player for macOS is a free download on the Mac App Store. Use your Apple ID to log in and grab the player app. Just like other TrilbyTV Players, you will see a code on the screen which you enter into the TrilbyTV Player Dashboard to link it to your system. TrilbyTV Player on macOS will boot up full screen, double click to reduce it to a smaller window – this makes it very useful for testing out a playlist on your desktop. You may also want to add the TrilbyTV Player app to your Startup Items and turn on automatic login, so it opens and starts to play on its own in case of a reboot. Any Windows 10 or later computer can be a TrilbyTV Player. 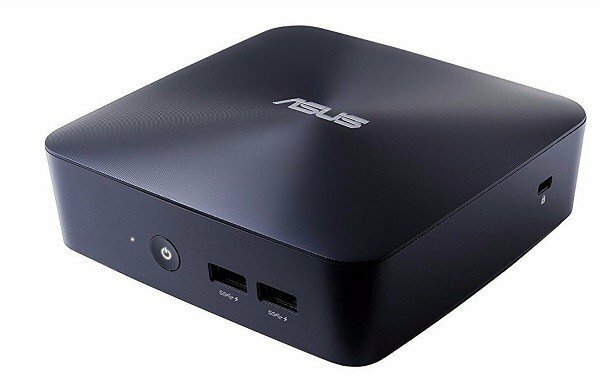 There is a wide range of smaller windows PCs designed for installation such as the Asus VivoMini which connects via HDMI to your screen. A Windows 10 PC can be linked to your existing Active Directory domain and managed remotely. TrilbyTV Player for Windows is a free download on the Microsoft Store. Just like other TrilbyTV Players, you will see a code on the screen which you enter into the TrilbyTV Player Dashboard to link it to your system. TrilbyTV Player on Windows will boot up full screen, double click to reduce it to a smaller window – this makes it very useful for testing out a playlist on your desktop. You may also want to set the TrilbyTV Player app to boot on startup.